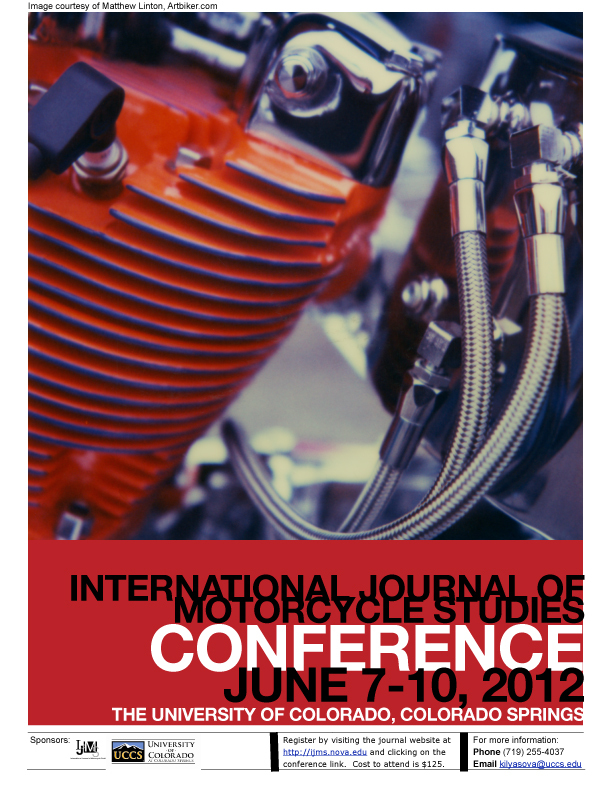 A second poster is being produced in conjunction with the International Journal of Motorcycle Studies annual conference… I plan to be there with the boys and am hoping go give a lecture or show some art… come out and say hello!! PS- the image you see is an original Polaroid… the bike in the photo is an original from Sucker Punch Sallys (back in the day when Jeff and Donny owned it). love the cover design of this book... very well done. OK, got this book in the mail to review for you and my official stance is that this would make a fine addition to my shelf and yours. I think it is certainly worth owning. That being said, I need to give a little more feedback. Art of the Harley-Davidson Motorcycle might be slightly misleading. If you read it as I did at first, I imagined “fine art” images with the subject being Harley’s. What I got was more like slick, very well done, beautiful, ad/documentary style images of Harleys in environments that highlight the machines… which is not a bad thing at all, in fact, the images are very alluring… just not what I first expected. Readers will find images of a particular model on every two-page spread, which makes it nice to pick up and put down whenever you have a moment and flip to a new page. Next to the beautiful side or ¾ view image of the bike (always from the “pretty” side), you will find a short statement about the bike and a set of stats. The stats are one of the things I find most interesting as it allows me to take a quick glance and find out the engine displacement, horsepower, and a couple other quick facts. Very nice touch. To class up the joint even more, each spread has a smaller graphic that might be a drawing of the bike being showcased, or a vintage ad, or even a detail shot that could be more in line with what I had in mind with the title of this publication. Back to my original statement, very well worth the purchase price. 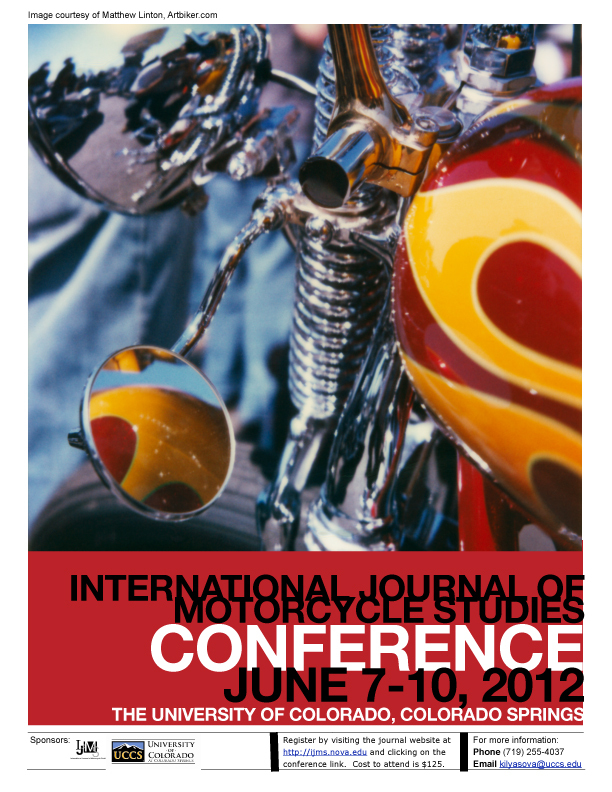 Harley enthusiasts will enjoy the statistical information and the layperson will enjoy the images. Well laid out and very inclusive of Harley’s history, I would say David Blattel and Dain Gingerelli have a winner on their hands. Love, Respect, and Biker Books! Photographer David Blattel treats every photo shoot as a work of art. When his subjects are the works of art produced by the motorcycling maestros from Milwaukee, the results are doubly beautiful. Art of the Harley-Davidson Motorcycle pulls together the best of Blattel’s Harley-Davidson portraiture–over 100 stunning machines–resulting in a breathtaking review of Harley-Davidson’s greatest hits from the early 1900s to today. Harley-Davidson expert Dain Gingerelli puts each machine in historical and technical context with informed profiles. The result is a handsome, informative overview of Harley-Davidson’s 100-plus years of style and innovation. Motorbooks, an imprint of Quayside Publishing Group, is the world’s leading publisher of automotive, motorcycle and motorsports books for enthusiasts. For 45 years, Motorbooks has published award-winning books by the world’s most talented motoring authors and photographers. Well friends, Tom Zimberoff is at it again and his exhibition, Art of the Chopper is coming to Kansas City. The show is based on his two books, Art of the Chopper I and II, which I might add, are both sitting on my shelf here at the studio. I remember when the first volume came out, I had the opportunity to meet Tom in Sturgis where he was hocking his wares. I believe it was near the Rat’s Hole show at the Full Throttle, but I could be wrong. I am sure he would remember. Not meeting me, of course, but where he was selling his books. Anyway, if you have not had the opportunity to check out his exhibition, make sure to do it! 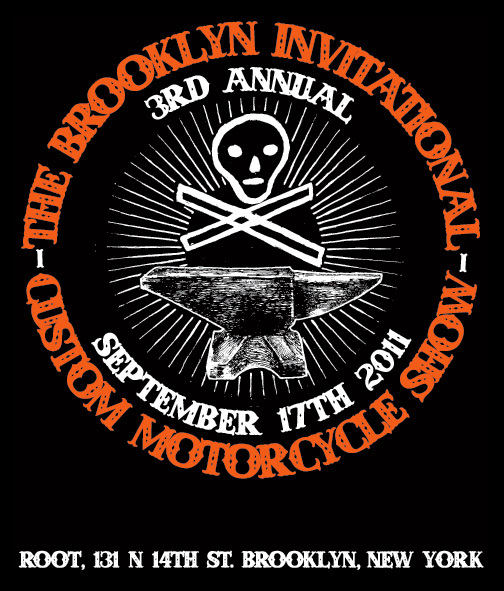 Not only will you see some beautiful photography of some amazing machines, but many of the bikes will be on display as well. An absolutely amazing sight to behold. The show is going up at the Union Station and will be on display for just over three months. Check it out. I may even load the ol’ lady and the kiddos into the family van and take them out to see it. Hey, a family needs a destination for a summer trip, right? What could be more educational and enlightening than a trip to a museum! Congrats Tom, I am sure it is gonna be one hell of a show. KANSAS CITY, Mo., April 19, 2011 — Imagine motorcycles, unlike any you’ve seen before, arrayed on pedestals and resplendent in their sculptural variety. These extravagant mechanical confections are like Fabergé eggs with engines—exquisite yet hard-boiled. Forget bikers. Think haut moteur. Haut moteur is to motorcycles as haute couture is to apparel. Just as a couturier’s gown goes from runway to rack with each new season—an archetype of fashion unveiled, so do over-the-top motorcycles initiate a process of trickle-down style, which eventually wends its way to mainstream machines on the showroom floor. A chopper is the epitome of haut moteur: a highly conceptualized handmade motorcycle and vehicle of self-expression, balancing the polarized dynamics of flamboyance and minimalism on two wheels. What makes them cool, says guest curator Tom Zimberoff, “is getting something wrong just right..” His discerning eye brings a breath of fresh exhaust to Union Station. Based on Zimberoff’s best-selling books, Art of the Chopper and Art of the Chopper II, this exhibition of thirty choppers integrates each artist’s portrait with other documentary photographs and their motorcycles on display, thereby offering the public a glimpse into a parallel universe populated by the high priests of horsepower, those lane-splitting libertarians on the road to perdition with a lust for life and a consummate sense of style. Their eccentric machines go a long way toward explaining why ordinary bike builders abound but artists are rare. Only artists go beyond imitation to invention, to subordinate the disparate ingredients of a mainstream motorcycle into a singular vision, while blurring orthodox notions about form and function. Like other idioms of American culture, including jazz, rock ‘n’ roll, the chopper has been embraced and transformed by proponents throughout the world. Praise the lowered! Billed as “one of the most amazing motorcycle exhibitions ever presented” during its appearance at the William J. Clinton Presidential Library in Arkansas, Art of the Chopper was the first curated contemporary art exhibition consisting entirely of custom motorcycles. About Union Station Kansas City, Inc.
Union Station Kansas City is a historical landmark and civic asset renovated and reopened to the public in 1999. The organization, driven by its mission of science and history education and entertainment, features a science center, the popular Model Railroad Experience open year round, new planetarium, one of the region’s largest screen movie theaters, live theater, shops, restaurants and home to prominent area civic organizations and businesses. Visit unionstation.org for details. TOM ZIMBEROFF, curator, biographer, and illustrator of Art of the Chopper, is a classically trained clarinetist (USC School of Performing Arts) who began his photographic career covering the rock-music scene. Subsequently, for twenty-six years, he traveled throughout the world on assignment for magazines as a photojournalist with the Sygma Photo Agency and, later, Gamma-Liaison. As an accomplished commercial photographer, too, his work was featured in the annual reports and advertising campaigns of many Fortune 500 companies. His images of celebrities, scholars, artists, scientists, business leaders, and politicians, including two sitting American Presidents, were published regularly worldwide and on the covers of Time, Fortune, Money, and People, as well as other periodicals. Zimberoff is known for his portraiture, with examples in the National Portrait Gallery in London, the Los Angeles County Museum of Art, the San Francisco Performing Arts Library & Museum, the Eretz Israel Museum in Tel-Aviv, and the Corcoran Gallery of Art in Washington, DC, among other institutions. His first two subjects were Marx and Lennon — Groucho and John, that is. Zimberoff is an authority on the topic of business administration for commercial photography applications, as the author of Photography: Focus on Profit (Allworth Press), the first college textbook about the business side of photography. He has also contributed articles to the leading photo-industry trade journals. Zimberoff wrote and developed PhotoByte®, the leading business-management software application for professional photographers. After a ten-year-long hiatus from shooting pictures to pursue other business ventures, Zimberoff picked up his cameras once again to illustrate Art of the Chopper as a tribute to his decades-long affinity for custom motorcycles. His home is in San Francisco.